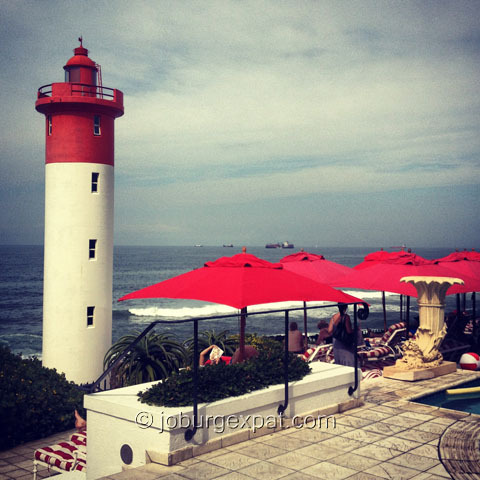 Over the years, I've answered many questions about expat life in South Africa. "I want to come visit; what is the best time of year?" is the most frequently asked question by many prospective travelers. I'm always tempted to say, it doesn't matter. There really isn't a bad time to visit South Africa. But there are some factors to consider before you plan your trip. My brother recently unearthed the ancient travel guide he had used when traveling as a student to South Africa in the 1980s. It is called South Africa: On R10 and R20 a day and is dated 1981-82. Of course, I immediately peeked into the Johannesburg section. Some parts sound just like today, but then there are those that do not, like the chapter titled "Accommodation for Non-Whites." Crime is almost always the first thing that comes to anybody's mind when the word Johannesburg is mentioned. At least to any outsider's mind. I wanted to ridicule that single-minded focus on what we insiders know is only a small sideshow of life in South Africa, and instead highlight some of the good stuff. All this without sounding preachy, so I threw in some fun facts as well. In May 2012 we finally made it to Durban more than two years after arriving in South Africa. I've always been intrigued to get to know it, but never intrigued enough to actually visit it, what with Cape Town and Mauritius and the ever amazing bush competing for Noisette's precious vacation days. Here is what we found. If it seems like we’ve been constantly traveling these past few months, it is because we’ve been constantly traveling these past few months.